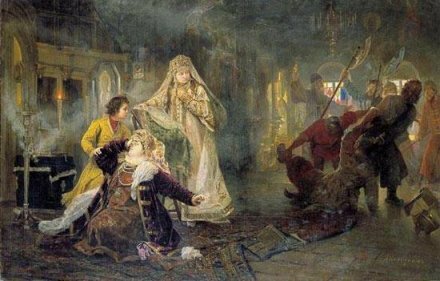 On this date* in 1689, Fyodor Shaklovity was beheaded in Russia: a signal of the transfer of imperial power just days before to the young Peter the Great. 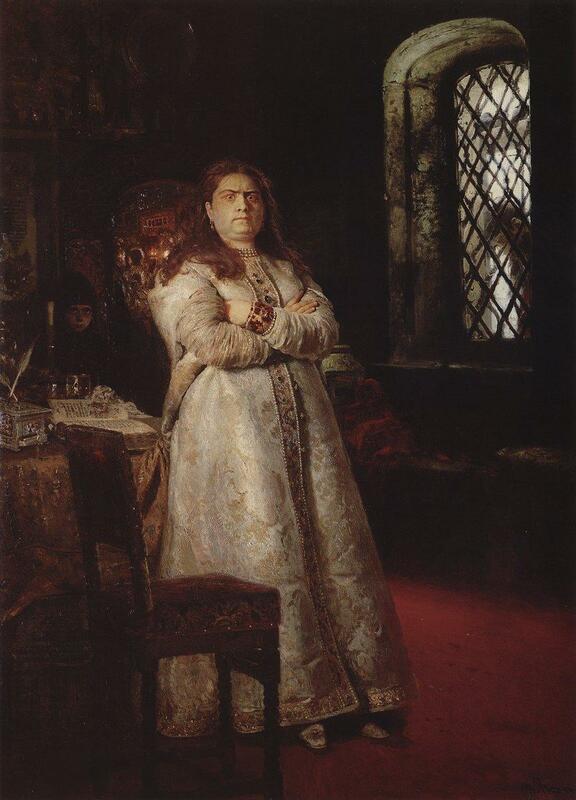 A commoner who rose to the apex of political power — or at least its orbit — Shaklovity (English Wikipedia entry | Russian) was the “second favorite”** of Sophia Alekseyevna during her run as the Russian regent in the 1680s. She was able to occupy this position because the last tsar had died without issue in 1682. The result was a shaky power-share split between two male tsars who could not rule: Ivan, who was mentally disabled, and Peter, who was 10 years old. But the problem with 10-year-olds is that, seven years later, they become 17-year-olds. By 1689, Peter was chafing at his sister’s power. As the regent, how much longer could she expect to rule the tsar now that he was no longer a boy? A disturbance on the night of August 7, 1689 brought the matter to a head. Moscow’s Streltsy, a body of soldiers who had murderously run amok in the Kremlin in 1682, paraded or demonstrated near the Kremlin. Peter accused Shaklovity of attempting to incite another Streltsy rising to win power for Sophia, and maybe that’s exactly what happened. But it might also have been the case that Peter’s party cynically engineered the crisis to force a confrontation. In either event, the two rivals were now holed up in their respective compounds (Sophia’s was the Kremlin). 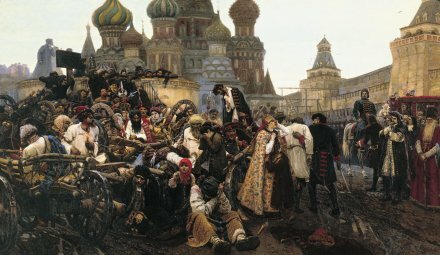 The standoff never came to blows, for it soon demonstrated that Sophia’s support was distinctly inferior to Peter’s, to whom the legitimate government apparatus increasingly gravitated.‡ Muscovite soldiers, foreign diplomats, and even the Streltsy began abandoning Moscow for Peter’s monastery. Sophia’s regency ended in September, and the proof of her capitulation was acceding to Peter’s demand that she hand over the “blatant criminal” Shaklovity for condign punishment as a failed regicide. Despite the late hour (10 p.m.), a vast concourse of commoners and elites alike saw Shaklovity’s head axed off by torchlight on the main road near the Trinity-St. Sergius monastery. Peter had arrived: and over the next two generations, he would bend all Russia to his will. * Per the Julian calendar still in use in Russia at the time. ** Per Peter the Great: A Biography, by Lindsey Hughes. The first favorite was Golitsyn, whom Peter exiled. † Hughes, op. cit., quoting the diaries of the fascinating Scottish general Patrick Gordon, whose loyalty to Peter in 1689 helped to decide the conflict. ‡ The disastrous Russian performance in Crimean campaigns launched by Sophia did the regent no favors. Today was assigned for the punishment of the popes — that is to say, of those who by carrying images to induce the serfs to side with the Strelitz, had invoked the aid of God with the holy rites of his altars for the happy success of this impious plot. The place selected by the judge for the execution was the open space in front of the church of the most Holy Trinity, which is the high church of Moscow. The ignominious gibbet cross awaited the popes, by way of reward in suit with the thousands of signs of the cross they had made, and as their fee for all the benedictions they had given to the refractory troops. The court jester, in the mimic attire of a pope, made the halter ready, and adjusted it, as it was held to be wrong to subject a pope to the hands of the common hangman. A certain Dumnoi struck off the head of another pope, and set his corpse upon the ignominious wheel. Close to the church, too, the halter and wheel proclaimed the enormity of the crime of their guilty burden to the passers by. The Czar’s Majesty looked on from his carriage while the popes were hurried to execution. To the populace, who flood around in great numbers, he spoke a few words touching the perfidy of the popes, adding the threat, “Henceforward let no one dare to ask any pope to pray for such an intention.” A little while before the execution of the popes, two rebels, brothers, having had their thighs and other members broken in front of the Castle of the Kremlin, were set alive upon the wheel: twenty others on whom the axe had done its office lay lifeless around these wheels. The two that were bound upon the wheel beheld their third brother among the dead. Nobody will easily believe how lamentable were their cries and howls, unless he has well weighed their excruciations and the greatness of their tortures. I saw their broken thighs tied to the wheel with ropes strained as tightly as possible, so that in all that deluge of torture I do believe none can have exceeded that of the utter impossibility of the least movement. Their miserable cries had struck the Czar as he was being driven past. He went up to the wheels, and first promised speedy death, and afterwards proffered them a free pardon, if they would confess sincerely. But when upon the very wheel he found them more obstinate than ever, and that they would give no other answer than that they would confess nothing, and that their penalty was nearly paid in full, the Czar left them to the agonies of death, and hastened on to the Monastery of the Nuns, in front of which monastery there were thirty gibbets erected in a quadrangular shape, from which there hung two hundred and thirty Strelitz. The three principal ringleaders, who presented a petition to [Peter’s half-sister and rival] Sophia, touching the administration of the realm, were hanged close to the windows of that princess, presenting, as it were, the petitions that were placed in their hands, so near that Sophia might with ease touch them. Perhaps this was in order to load Sophia with that remorse in every way, which I believe drove her to take the religious habit, in order to pass to a better life. This differed confiderably from those that preceded. The manner of it was quite different, and hardly credible. Three hundred and thirty at a time were led out together to the fatal axe’s stroke, and embrued the whole plain with native but impious blood: for all the Boyars, Senators of the realm, Dumnoi, Diaks, and so forth, that were present at the council constituted against the rebel Strelitz, had been summoned by the Czar’s command to Bebraschentsko, and enjoined to take upon themselves the hangman’s office. Some struck the blow unsteadily, and with trembling hands assumed this new and unaccustomed task. 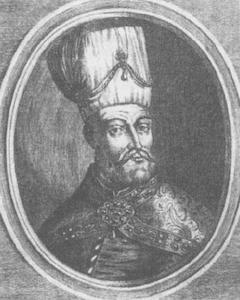 The most unfortunate stroke among all the Boyars was given by him whose erring sword struck the back instead of the neck, and thus chopping the Strelitz almost in halves, would have roused him to desperation with pain, had not Alexasca* reached the unhappy wretch a surer blow of an axe on the neck. Prince Romadonowski, under whose command previous to the mutiny these four regiments were to have watched the turbulent gatherings in Poland on the frontier, beheaded, according to order, one out of each regiment. Lastly, to every Boyar a Strelitz was led up, whom he was to behead. The Czar, in his saddle, looked on at the whole tragedy. * Alexasca was a nickname for the (future) Gen. Aleksandr Menshikov, one of young Peter’s loyal boon companions. Only six were beheaded today, who had the advantage of rank over the others, if rank be a distinction of honour in executed criminals. To this exhibition of avenging justice the Czar’s Majesty invited all the ambassadors of foreign fovereigns, as it were to aflert anew on his return that fovereign prerogative of life and death which the rebels had disputed with him. The barracks in Bebraschentsko end in a bare field which rises to the summit of a rather steep hill. This was the place appointed for the executions. Here were planted the gibbet stakes, on which the foul heads of these confessedly guilty wretches were to be fet, to protract their ignominy beyond death. There the first scene of the tragedy lay exposed. The strangers that had gathered to the spectacle were kept aloof from too close approach; the whole regiment of guards was drawn up in array under arms. A little further off, on a high tumulus in the area of the place, there was a multitude of Muscovites, crowded and crushing together in a dense circle. A German Major was then my companion; he concealed his nationality in a Muscovite dress, besides which he relied upon his military rank and the liberty that he might take in consequence of being entitled by reason of his being in the service of the Czar to share in the privileges of the Muscovites. He mingled with the thronging crowd of Mufcovites, and when he came back announced that five rebel heads had been cut off in that spot by an axe that was swung by the noblest arm of all Muscovy. [i.e., Peter’s own] The river Jaufa flows pall the barracks in Bebraschentsko, and divides them in two. On the opposite fide of this stream there were a hundred criminals set upon those little Muscovite carts which the natives call Sbosek, awaiting the hour of the death they had to undergo. There was a cart for every criminal, and a soldier to guard each. No priestly office was to be seen; as if the condemned were unworthy of that pious compassion. But they all bore lighted tapers in their hands, not to die without light and cross. The horrors of impending death were increased by the piteous lamentations of their women, the sobbing on every fide, and the shrieks of the dying that rung upon the sad array. The mother wept for her fon, the daughter deplored a parent’s fate, the wife lamenting a husband’s lot, bemoaned along with the others, from whom the various ties of blood and kindred drew tears of sad farewell. But when the horses, urged to a sharp pace, drew them off to the place of their doom, the wail of the women rose into louder sobs and moans. As they tried to keep up with them, forms of expression like these bespoke their grief, as others explained them to me: “Why are you torn from me so soon? Why do you desert me? Is a last embrace then denied me? Why am I hindered from bidding him farewell?” With complaints like these they tried to follow their friends when they could not keep up with their rapid course. From a country seat belonging to General Schachin [Shein] one hundred and thirty more Strelitz were led forth to die. At each side of all the city gates there was a gibbet erected, each of which was loaded with six rebels on that day. When all were duly brought to the place of execution, and the half dozens were duly distributed at their several gibbets, the Czar’s Majesty, dressed in a green Polish cloak, and attended by a numerous suite of Muscovite nobles, came to the gate where, by his Majesty’s command, the imperial Lord Envoy had flopped in his own carriage, along with the representatives of Poland and Denmark. Next them was Major-General de Carlowiz, who had conducted his Majesty on his way from Poland, and a great many other foreigners, among whom the Muscovites mingled round about the gate. Then the proclamation of the sentence began, the Czar exhorting all the bystanders to mark well its tenor. As the executioner was unable to dispatch so many criminals, some military officers, by command of the Czar, came under compulsion to aid in this butcher’s task. The guilty were neither chained nor fettered; but logs were tied to their legs, which hindered them from walking fast, but still allowed them the use of their feet. They strove of their own accord to ascend the ladder, making the sign of the cross towards the four quarters of the world; they themselves covered their eyes and faces with a piece of linen (which is a national custom); very many putting their necks into the halter sprang headlong of themselves from the gallows, in order to precipitate their end. There were counted two hundred and thirty that expiated their flagitious conduct by halter and gibbet.